A number of countries have recently been causing trouble in the South China Sea. On May 6, the Philippines illegally seized 11 Chinese fishermen and a boat in waters off China’s Half Moon Shoal in the Nansha Islands. 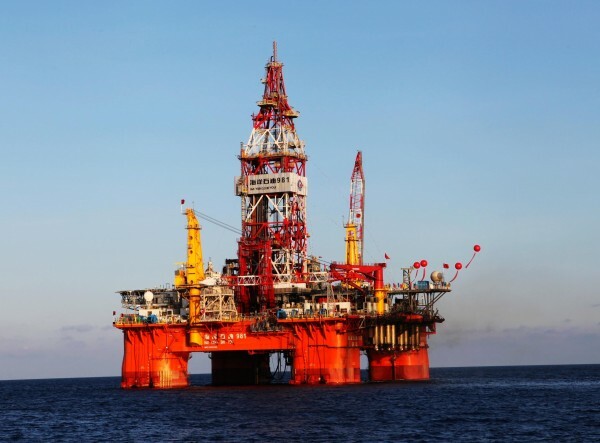 Meanwhile, Vietnam continues to forcefully disrupt a Chinese company’s normal drilling operations in the waters off China’s Xisha Islands. In addition, enterprises in Vietnam invested by China and other countries have suffered from looting and arson. While continuing their maritime confrontations with China, the Philippines and Vietnam have tried repeatedly to get the Association of Southeast Asian Nations to pass a resolution on the South China Sea issue, attempting to force ASEAN to take their side over the South China Sea issue with calls for the “consensus” that ASEAN values. However, this attempt to hijack ASEAN has disrupted the regional group’s integration process, becoming the most prominent negative factor hindering regional peace, stability and development. Since its founding in 1967, ASEAN has been committed to regional peace and stability and focusing on economic integration and development. Since the construction of the ASEAN free trade area began in 1992, ASEAN’s economic development has attracted increasing attention from powers outside the region. With the establishment of free trade areas with countries such as China, Japan, South Korea, India, Australia and New Zealand, ASEAN has become the center of East Asian regional economic cooperation. According to ASEAN’s development plan, the ASEAN economic community will be established in 2015, and strengthening regional connectivity, promoting foreign trade and attracting foreign investment have become the priority of ASEAN’s current development. Most ASEAN countries are making efforts to accelerate community building and regional integration and to move forward to the realization of a master plan for the ASEAN Community. However, at such a critical moment, the Philippines and Vietnam have gone against the trend of regional development and arbitrarily stirred up the South China Sea issue. By provoking maritime disputes under the pretext of so-called national interests, the Philippines and Vietnam attempt to hijack ASEAN in order to jointly confront China, resulting in escalating tensions in the South China Sea and greater risks to regional security. These two unreasonably troublesome countries have distracted ASEAN from its focus on community building, spoiled the peaceful and stable environment that ASEAN needs for its development and hindered its integration process. What the Philippines and Vietnam have done not only goes against ASEAN’s development process, but also undermines ASEAN’s basic principles. ASEAN is a relatively loose regional organization with a unique mode of operation. The principle of reaching consensus through consultation without mandatory constraints is the main feature of the “ASEAN way”. The so-called non-mandatory consensus through consultation means that in the process of reaching consensus, ASEAN leaders should fully consult other decision-makers, take into account other decision-makers’ opinions and feelings and, on this basis, leaders discuss and pass modest proposals and put forth comprehensive conclusions. If unanimity cannot be achieved, ASEAN puts the “Y-X” principle into practice – part of the members agree with the relevant proposal and are willing to take part in collective action, and a few members agree with the proposal, but don’t participate in collective action, then ASEAN can also pass a relevant resolution. Whether pursuing unanimity or the “Y-X” principle, the core principle of ASEAN’s decision-making mechanism is to seek common ground among member states, namely all member states must support the proposal, rather than “the minority obeying the majority”. In other words, by forcefully and repeatedly promoting a resolution concerning the South China Sea at ASEAN ministerial meetings and summits, the Philippines and Vietnam have trampled the rights of countries that have no claim in the South China Sea and posed a challenge to ASEAN, which values mutual respect and equal consultation. The two countries’ rude actions make ASEAN come under question in the international arena. In 2012, Vietnam and the Philippines attempted to turn the disputes between them and China into a problem between China and ASEAN as a whole, which was unacceptable for the other members of the bloc, resulting in the 45th ASEAN Foreign Ministers’ Meeting ending without the release of a customary communique showcasing common ground. The two countries should be blamed for the failure to issue a communique, which is rare in the past 45 years. As a result, ASEAN’s international image was badly damaged. The Philippines and Vietnam always claim that the South China Sea issue endangers ASEAN’s interests, but China has never had nor will it have any sovereignty disputes with ASEAN as a regional bloc. It is ridiculous for the Philippines and Vietnam to draw Myanmar, Thailand, Cambodia, Laos, Singapore and Indonesia into the South China Sea sovereignty dispute. These countries can only express concerns about the security situation in the region, rather than respond positively to Philippines and Vietnam’s “claims”. On May 10, the ASEAN Foreign Ministers’ Meeting in Myanmar issued a statement on the South China Sea issue, appealing to all parties in the South China Sea to comply with the universally recognized principles of international law, maintain self-restraint, and avoid activities that might damage regional peace and stability. It also asked all parties to settle disputes peacefully and not resort to force or menace with force, to safeguard peace, stability and safety in the South China Sea, and to ensure free navigation and overflight. It calls for full and effective implementation of the Declaration on the Conduct of Parties in the South China Sea and the conclusion of a code of conduct in the South China Sea as soon as possible. China has reiterated that the ASEAN countries concerned should earnestly respect and implement the DOC and make positive contributions to peace, stability and maritime security in the South China Sea. In the final analysis, maintaining regional peace and stability is the common responsibility of China and ASEAN countries. Contrary to this precept, the Philippines and Vietnam have taken the lead in violating the DOC, spoiled cooperation between China and ASEAN by transferring the South China Sea issue to ASEAN, stirred up tensions in the region and created obstacles to regional peace and development. China respects the state sovereignty of ASEAN countries, but is opposed to any country that attempts to force ASEAN to take their side in the issue of the South China Sea. It is not in line with international practice to turn territorial disputes between China and specific ASEAN countries over certain islets and claims to particular areas of the South China Sea into a problem between China and ASEAN as a whole. ASEAN and China are each other’s important strategic partners, and maintaining regional stability and promoting common development are their consensus and the direction of joint efforts. When China is making joint efforts with ASEAN to safeguard regional peace and stability, Vietnam and the Philippines’ scheme to hijack ASEAN and spoil cooperation between China and ASEAN can never win support from other ASEAN countries. Pure Chinese propaganda … lol. They are the aggressors, not the Vietnamese or Filipinos. Where is the 200 mile limits? THAT is the law, not some ancient history lesson. Luo Yongkun is a Chinese foreign policy expert. Luo is a researcher of South East Asian studies at the China Institute of Contemporary International Relations.